Currently, the only therapy for metabolic liver disease is an organ transplant. Tracy Grikscheit, MD, an attending physician and regenerative medicine scientist at Children's Hospital Los Angeles, hopes to change that reality. She has been awarded nearly $1.3 million by the California Institute of Regenerative Medicine (CIRM) to study stem cell therapy for liver failure. Grikscheit's CIRM-funded project — Universal Pluripotent Stem Cell Therapy (UPLiFT) — will treat liver failure resulting from metabolic diseases that normally are fatal without a liver transplant. These diseases include urea cycle disorders, the result of a genetic mutation that interferes with removal of toxic ammonia from the body, and Crigler Najjar syndrome, an inherited condition characterized by high levels of bilirubin, a toxic substance produced when red blood cells break down. Both of these disorders can be severe, causing brain damage, coma or death. "Liver-based metabolic diseases are the perfect starting point to apply cellular therapy to liver disorders," said Grikscheit, whose laboratory within The Saban Research Institute at CHLA focuses on tissue engineering. "The only current therapy — a liver transplant — is costly and in short supply. Plus, it requires suppressing the patient's immune system, which has long-term consequences." The therapy that Grikscheit is developing uses universal pluripotent stem cells, which are derived from adult cells, and have the ability to differentiate into any type of specialized cell type, giving them tremendous therapeutic potential. "An 'off-the-shelf' therapy from a universal donor that might not require immunosuppression would be a substantial step forward for liver-based metabolic disease," said Grikscheit, an associate professor of Surgery at the Keck School of Medicine of the University of Southern California (USC). In the new UPLiFT investigation into metabolic liver disease, Grikscheit hopes to establish the effective dose and regimen of a stem cell-based therapy and pilot a preclinical study into safety, toxicology and long-term outcomes at the optimal dose while assessing any off-target effects. 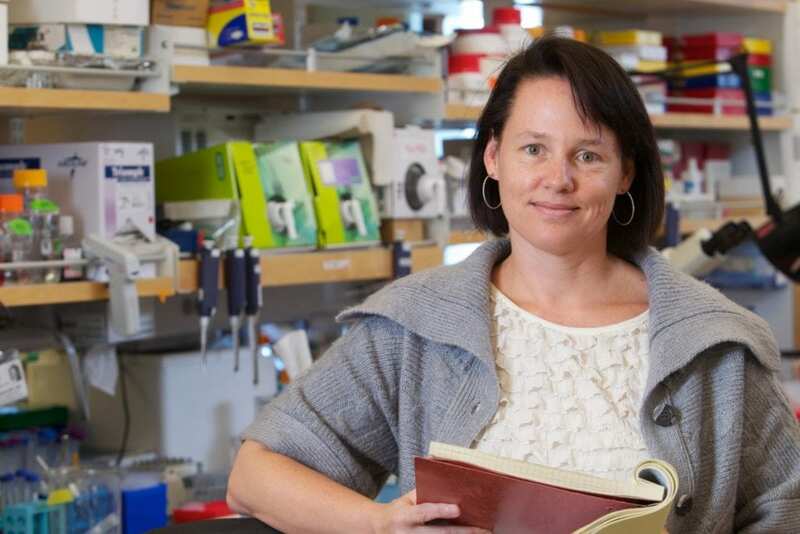 Grikscheit's latest CIRM award in October 2018 follows on a $7.1 million grant she received in 2017, also from CIRM, to develop a stem cell therapy for enteric neuropathy, a degenerative neuromuscular condition of the digestive system.